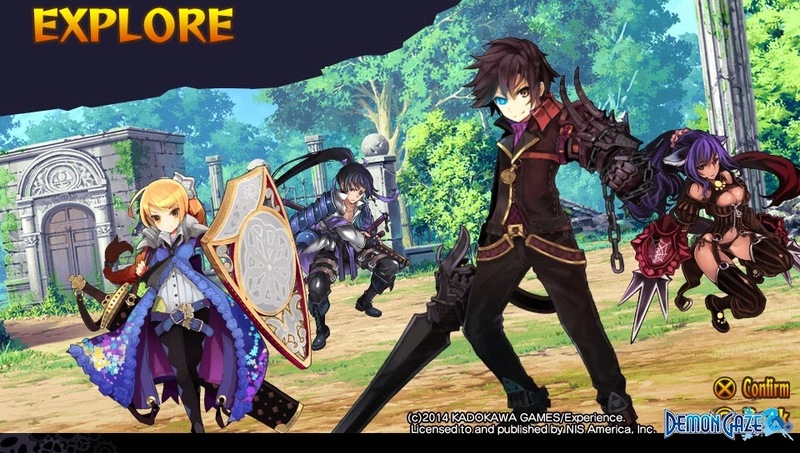 This dungeon-crawling RPG will land on US soil April 22 and in Europe on April 25 both at retail and PSN! 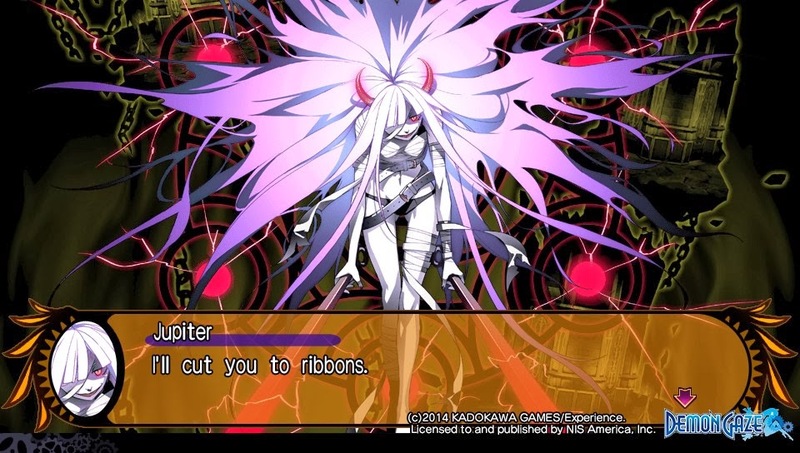 Read the full press release and look at some localized screenshots after the break! ACTION TO NORTH AMERICA AND EUROPE THIS APRIL! 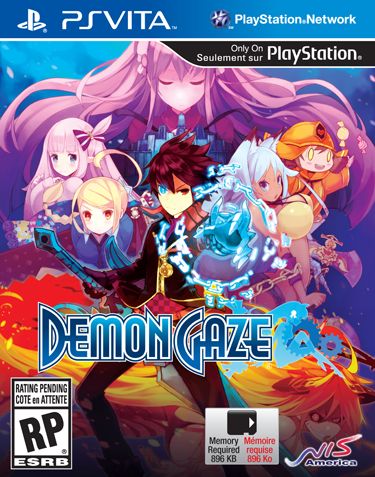 Santa Ana, Calif.(January 23, 2014)– NIS America is thrilled to announce that the critically acclaimed dungeon-crawling RPG, Demon Gaze™, will be making its way to the PlayStation®Vita on April 22 in North America and April 25 in Europe. Both retail and digital versions of this title will be available. 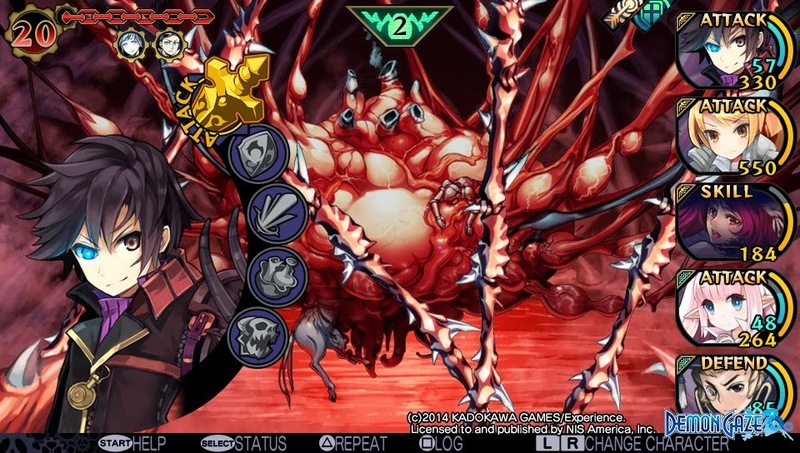 As the main character Oz, you will explore beautiful 3D dungeons as you fight against a myriad of highly detailed and illustrated monsters in order to bolster your party with ever stronger equipment. Fans of high-definition anime artwork and dungeon exploration will enjoy gazing upon this title in April! Key features:Dungeon RPG progress system: Conquer locations within dungeons to access better items and to draw out the boss! HD character and monster illustrations: Experience highly detailed and illustrated art like you’ve never seen before on the PS Vita’s OLED screen! Customizable party creation: Choose from over 40 different character portraits, 5 different races, and 8 different classes to create your ideal adventuring party and delve fearlessly into various beautiful 3D dungeons! Subclass flexibility: Utilize special items to gain skills from several other character classes to maximize your characters’ battle potential and survivability! Touchscreen quicktravel: Employ the use of the PS Vita’s touch screen to quickly navigate your character through previously explored areas within dungeons!